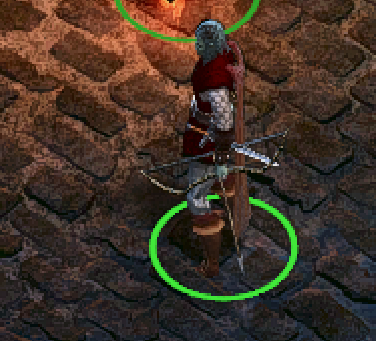 I have posted This in regards to the current bow bug which is in pillars of eternity. This has been brought up before, but from what I can see Zero results from the DEVs on getting it fixed. This bug is not just limited to me but others as well - and not just on this site (steam for example). 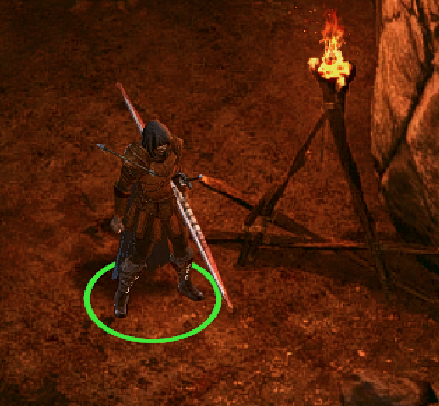 From what I can tell this bug normally appears when switching weapons in combat (I pause to switch weapons). Reloading the game or restarting the game fixes this issue until it happens again. So I assume that the bug is not going to be part of the save game file but perhaps in the way the game is using the graphic assets. While this is not a game breaker - it is most annoying and breaks immersion. From what I can see from other post around the web - this bug has been here since the game was released. Ignore this reply (delete) I though I had found the problem but did not - Issue is still here.